Tonic scissors cut their way through your craft or sewing project. These feature stainless steel blades and work equally well for right- or left-handed users. Great for arts and crafts, or sewing — use to cut fabrics, paper, and many other materials. 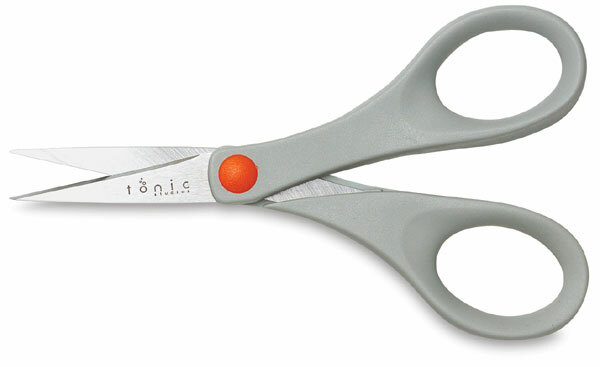 The 5" scissors have ergonomic plastic handles (gray). The 6" scissors have Kushgrip handles (orange).